Preamble. The item under review targets German-speaking members of the audio lover's society. At the time of writing, the software, website and owner's manual were in German exclusively. If this is no problem for the reader, follow us on our journey with managed server services. [Being an English publication, such a narrow focus would usually preclude a review. In this instance, the assignment had already been committed to before, upon delivery, the German-only aspect revealed itself. – Ed]. Our journey with the Audiodata MusikServer MS II started by visiting the website of the company headquartered in Aachen, Germany. Here came the Konfigurator, an extended menu listing from which to personalize your MusikServer. Every configuration starts with the Basis package. 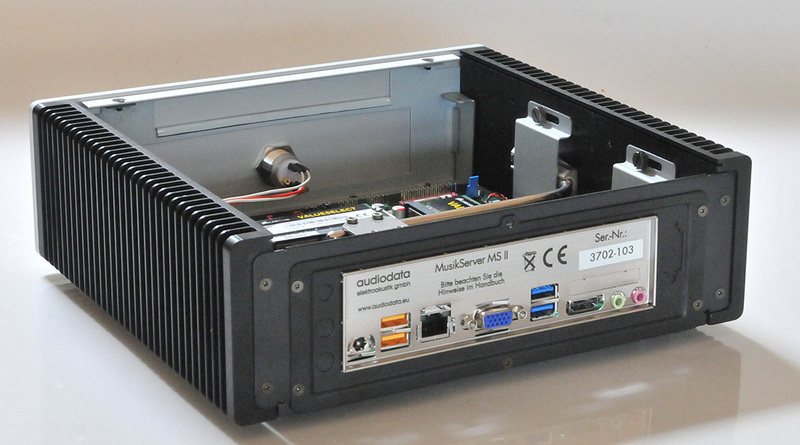 This gets you the MusikServer MS II clad in black with a black or silver aluminium fascia and power button adorned with a white, red, blue or green LED. Inside the Basis comes a small Mitac motherboard with a quad core Intel Celeron CPU running at 2GHz and with 4GB of DRR SDRAM memory. The CPU uses passive liquid cooling. For storage there is a 120GB solid state disk meant for the Windows OS and a 2TB spinning disk for your music files. 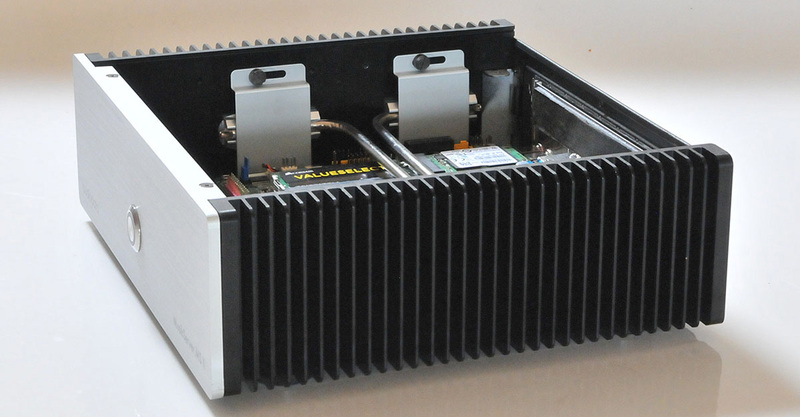 DC power is by way of an external switching power supply. Win 7 Pro is the preinstalled operating system of choice configured for the German language and country. Also preinstalled are Mp3Tag and TeamViewer for remote access. An Ethernet cable completes the Basis package.